This is a summary of our Notice of Privacy Practices, which describes how medical information about you may be used and disclosed and your rights regarding this information. We have also provided you with a full version of the Notice. To comply with subpoenas or court orders requiring disclosure of your medical record. For a full description of the uses and disclosures that we are permitted to make, please see the attached Notice of Privacy Practices. To request restrictions on certain uses and disclosures of your medical information. For a full description of your rights, please see the attached Notice of Privacy Practices. We are required to provide you with our Notice of Privacy Practices and abide by its terms. We may amend the Notice from time to time, and amendments will apply retroactively. Please review the attached Notice carefully. If you have any questions, please contact the Administrator of the Facility. We are required by law to protect the privacy of your Protected Health Information (“PHI”). PHI includes all information that relates to your past, present or future physical and mental health; the provision of health care and treatment to your; and the past, present or future payment for your health care and treatment. This Notice will describe our uses and disclosures of your Protected Health Information, your rights, your choices, and our responsibilities. We may use and disclosure your PHI in order to treat you, run our facility, bill for services provided to you, help with public health and safety issues, do research, comply with law, respond to organ and tissue donation requests, work with the medical examiner or funeral director, address requests from workers’ compensation, law enforcement or other governmental agencies, and respond to lawsuits or legal actions. How do we typically use your PHI? To treat you: We can use your health information and share it with other professionals who are treating you. An example of this would be if a doctor treating you for an illness asks our nurses about your overall health condition. To run our facility: We can use and share your health information to run our facility, improve care, and contact you when necessary. An example of this would be to plan your care and treatment during care plan conferences with our department heads, your physician and you. To bill for services provided to you: We can use and share your health information to bill and get payment from health plans or insurance companies. An example of this would be when we provide diagnosis codes and information to your insurance company so it will pay for services we provided to you. To business Associates: We may disclose your PHI to contractors, agents or other business associates who need information in order to assist us any of the above uses and disclosures. An example of this would be when we share your PHI with an insurance company or law firm regarding risk management functions or obtaining professional advice. To family and friends involved in your care: We may disclose your health information with a family member, relative or close personal friend who is involved in your care or payment for that care, unless you object. An example of this would be when a son or daughter involved in your care is invited to attend a care plan conference. To do research: We can use or share your information for health research. To comply with the law: We will share information about you if state or federal laws require it, including with the Department of Health and Human Services if it wants to see that we’re complying with federal privacy law. To respond to organ and tissue donation requests: We can share health information about you with organ procurement organizations. To work with a medical examiner or funeral director: We can share health information with a coroner, medical examiner, or funeral director when an individual dies. For a facility directory: We may include certain limited PHI about you in the facility directory while you are a resident. This PHI may include your name and room number. The facility directory information may be released to people who ask for you by name. Your religious affiliation may also be given to a member of the clergy, such as a minister, priest, or rabbi, even if they do not ask for you by name. This is so your family, friends, and clergy can visit you in the facility and generally know how you are doing. You have the option to object to inclusion in the facility directory. To respond to lawsuits and legal actions: We can share health information about you in response to a court or administrative order, or in response to a subpoena. If a person has authority to make decisions on your behalf relative to your healthcare, such as a health care surrogate, a power of attorney, or a court-appointed guardian, we will treat this person the same way as we would treat you with respect to your PHI. While we take reasonable steps to safeguard the privacy of your PHI, certain disclosures of your PHI may occur during or as an unavoidable result of our otherwise permissible uses or disclosures of your PHI. 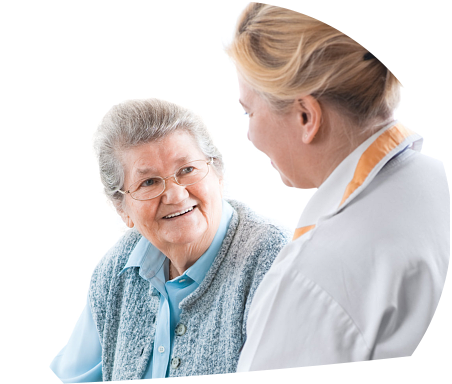 For example, during a treatment session, other patients in the treatment area may see or overhear discussion of your health information. To get an electronic or paper copy of your medical record: You can ask to see or get an electronic or paper copy of your medical record and other health information we have about you. You may request that the copy of your medical record be sent to a third party. We will request you sign a written authorization for the release of the record. We will provide a copy or a summary of your health information, usually within 30 days of your request, or as directed by state law. We may charge a reasonable, cost-based fee, depending on state law. To ask us to correct your medical record: You can ask us to correct health information about you that you think is incorrect or incomplete. We will request you complete and sign a written form about your request. We may say “no” to your request, but we’ll tell you why in writing within 60 days. Either way, a copy of your written request will be made a part of your medical record. To request confidential communications: You can ask us to contact you in a specific way (for example, home or office phone) or to send mail to a different address. We will say “yes” to all reasonable requests. To ask us to limit what we use or share: You can ask us not to use or share certain health information for treatment, payment, or our operations. We will request you complete and sign a form to make this request. 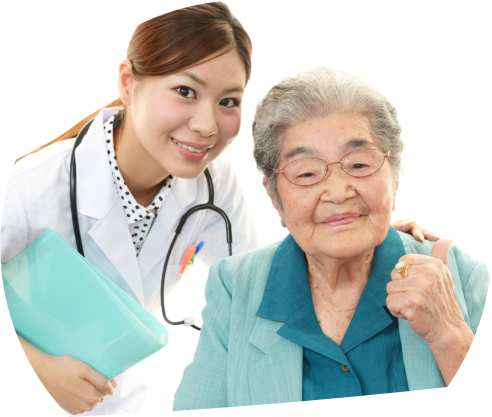 We are not required to agree to your request, and we may say “no” if it would affect your care. If you pay for a service or health care item out-of-pocket in full, you can ask us not to share that information for the purpose of payment or our operations with your health insurer. We will say “yes” unless a law requires us to share that information. To get a list of those with whom we’ve shared information: You can ask for a list (accounting) of the times we’ve shared your health information for six years prior to the date you ask, who we shared it with, and why. We will include all the disclosures except for those about treatment, payment, and health care operations, and certain other disclosures (such as any you asked us to make). We’ll provide one accounting a year for free but will charge a reasonable, cost-based fee if you ask for another one within 12 months. To get a copy of this privacy notice: You can ask for a paper copy of this notice at any time, even if you have agreed to receive the notice electronically. We will provide you with a paper copy promptly. 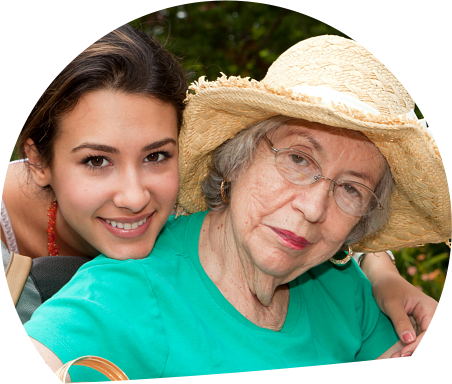 To choose someone to act for you: If you have given someone medical power of attorney or if someone is your legal guardian, that person can exercise your rights and make choices about your health information. We will make sure the person has this authority and can act for you before we take any action. To file a complaint if you feel your rights are violated: You can complain if you feel we have violated your rights by contacting us using the information on page 1. You can file a complaint with the U.S. Department of Health and Human Services Office for Civil Rights by sending a letter to 200 Independence Avenue, S.W., Washington, D.C. 20201, calling 1-877-696-6775, or visiting www.hhs.gov/ocr/privacy/hipaa/complaints/. We will not retaliate against you for filing a complaint. For certain health information, you can tell us your choices about what we share. If you have a clear preference for how we share your information in the situations described in the “Uses and Disclosures of Protected Health Information” section above, talk to us. Tell us what you want us to do, and we will follow your instructions. We will never share your information unless you give us written permission for marketing purposes or sharing of psychotherapy notes. We will also never sell your information. We are required by law to maintain the privacy and security of your protected health information. We will let you know promptly if a breach occurs that may have compromised the privacy or security of your information. We must follow the duties and privacy practices described in this notice and give you a copy of it. We will not use or share your information other than as described here unless you tell us we can in writing. If you tell us we can, you may change your mind at any time. Let us know in writing if you change your mind. We will not disclose PHI relating to HIV/AIDs status, substance abuse treatment, or mental health without your express authorization, or only as required/permitted by law. We will not disclose psychotherapy notes unless a written authorization is signed by you except: (1) to carry out the following treatment, payment, or health care operations: (a) use by the originator of the psychotherapy notes for treatment; (b) use or disclosure by us for our own training programs in which students, trainees, or practitioners in mental health learn under supervision to practice or improve their skills in group, joint, family, or individual counseling; or (c) use or disclosure to defend ourselves in a legal action or other proceeding brought by you; and (2) a use or disclosure required by law. We will request that you sign a separate form or notice acknowledging you have received a copy of this notice. If you choose, or are not able to sign, a staff member will complete the form to reflect the reason your signature is not on the acknowledgement. This acknowledgement will be filed with your records. I, _______________________________________, have received the Notice of Privacy Practices from the facility.